Humanity may have colonized much of the galaxy, but space remains as dangerous as ever, and so do the people inhabiting it. When Alexis Solovy - space explorer, freelance scout, recalcitrant wanderer - lands the contract of a lifetime, the race is on to claim the prize. Now she must not only outrun but outsmart her rivals to uncover the secrets of an ancient, mysterious pulsar. For deep in the void, far beyond the reach of civilization, wealth and renown matter little absent the ultimate reward: survival. 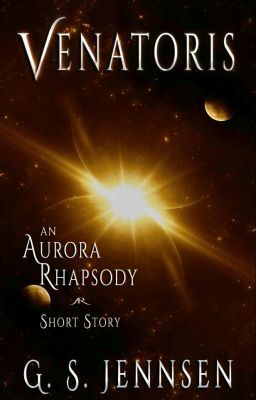 Set five yeas before STARSHINE: Aurora Rising Book One (Aurora Rhapsody #1), Venatoris takes a younger, wilder, rough-around-the-edges Alexis Solovy and Kennedy Rossi on an unforgettable adventure across the stars.